Clifton Taulbert and his new memoir, The Invitation, have had an exciting summer. 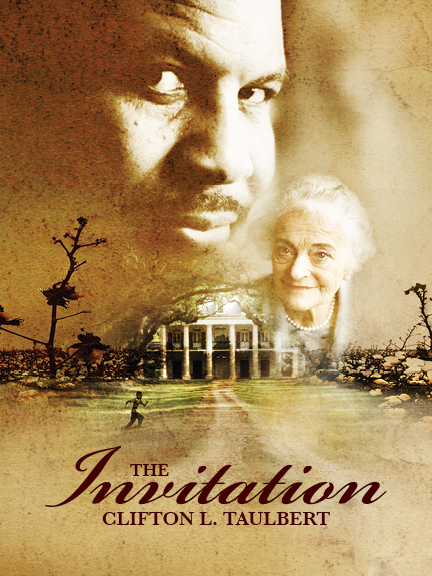 By revealing the contrasting worlds of Taulbert’s life — his upbringing in the segregated South and his adulthood as an author and motivational speaker — as well as his own struggles with combining those worlds, The Invitation has caught the attention of readers throughout the country, as well as overseas. Taulbert’s memoir focuses on a single invitation — an invitation that forces Taulbert to face the challenges of his youth and cross the racial divides that his younger self, “Little Cliff,” would have been unable to cross. The way Taulbert has integrated the challenges of his childhood with the success of his adult life has resonated with many, beginning in Oklahoma, Taulbert’s current home state. Recently, Clifton Taulbert was the focus of “The Trauma of Culture,” a feature story in Oklahoma Magazine that portrays the powerful consequences of the segregated world in which Taulbert was raised, including what Taulbert calls a kind of cultural post-traumatic stress disorder that made him wary to cross certain racial boundaries even as an adult. Even more recently, Taulbert appeared at Full Circle Books in Oklahoma City as a guest presenter and gave readers an opportunity to have their books signed. KGOU, Oklahoma’s public radio, and The Oklahoman covered the event. Oklahoma is not the only place seeking Taulbert’s wisdom. Voice of America’s Africa54‘s Vincent Makori interviewed Taulbert about his experiences growing up in the segregated South, and the lessons everyone learns from dealing with the events of their own childhoods. No matter where it is, The Invitation is a striking and bold memoir that inspires readers to face their own challenges and become responsible for change in the world.